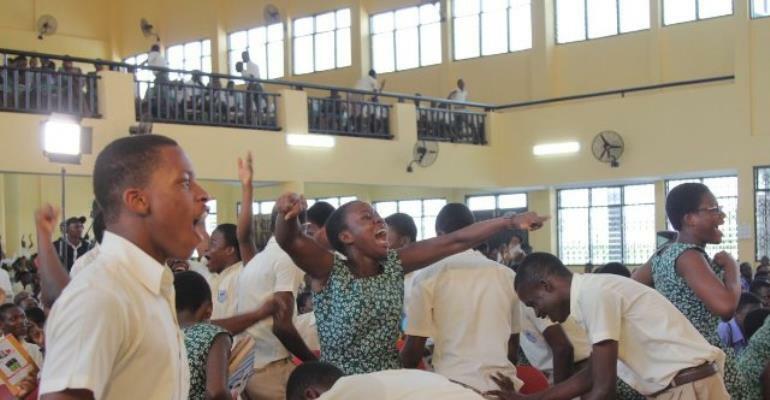 Achimota School booked a place at the final of the Greater Accra Regional Championship of the National Science and Maths Quiz (NSMQ) 2019 after beating Accra Academy in a nail-biting contest. In a contest worthy of the name, the winner of the four-schools quiz was not clear cut until after the proverbial final whistle. The two leading schools were tied at 41 points apiece at after the penultimate round; but after the final round, it was Achimota School who wanted it most. Out of 20 points simultaneously available to all the schools, Achimota School picked four and Accra Academy picked three, breaking the previous tie. Ada Senior High amassed 28 points in the contest to place third while St. John’s Grammar School fell a point behind to place last. Achimota School will face Tema-based Chemu Senior High and St. Thomas Aquinas Senior High in a bid to crown a Greater Accra Regional Champion.